Dr. Paul Thomas, M.D., F.A.A.P., received his M.D. from Dartmouth Medical School and completed his pediatric residency at the University of California San Diego. He is a board-certified fellow of the American Academy of Pediatrics, board-certified in Integrative and Holistic Medicine, and a diplomat of the American Board of Addiction Medicine. 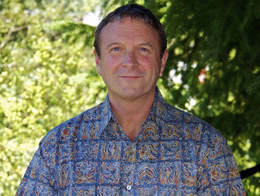 He taught residents and medical students from 1988 to 1993, practiced at Westside Pediatrics from 1993 to 2008 and opened his own practice in 2008 Integrative Pediatrics, where he currently serves over 13,000 patients in the Portland, Oregon metro area. He opened his medical detox clinic, Fair Start, in 2009 that has served over 500 opiate addicts, helping them wean off heroin, and pain pills. He is a Founding Director of PIC (Physicians for Informed Consent). And a Co-Chair for OFMF (Oregonians for Medical Freedom). He is the co-author (with Jennifer Margulis, Ph.D.) of The Vaccine-Friendly Plan: Dr. Paul’s Safe and Effective Approach to Immunity and Health—From Pregnancy Through Your Child’s Teen Years published 2016 from Ballantine. Join the over 280,000 other subscribers who follow Dr. Paul on YouTube. 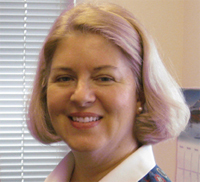 Dr. Linda Baker is board-certified in Pediatrics, also certified in Classical Homeopathy, and trained in herbal medicine, nutrition, and energy medicine. Dr. Baker and her husband recently moved to Portland from Philadelphia, PA, in order to be near their families including their two adult children. 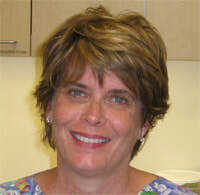 Dr. Baker was born and grew up in Southern California and attended medical school at UC San Diego. 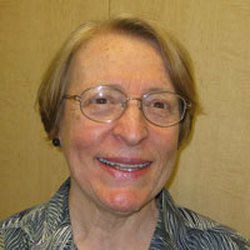 She moved to Pennsylvania to do her Pediatric Internship and Residency at St. Christopher’s Hospital for Children and subsequently practiced with Chestnut Hill Pediatric Group in Philadelphia for twenty years, serving as chairman of the Department of Pediatrics at Chestnut Hill Hospital for five years. She has also worked as Medical Director of the Family Hope Center and traveled internationally with them to provide holistic care for children. In 2004, she founded her own practice, Wellspring Homeopathic Care, where she provided integrative holistic care for the whole family. Dr. Baker loves to learn and explore new subjects and looks forward to sharing her knowledge with Portland families. 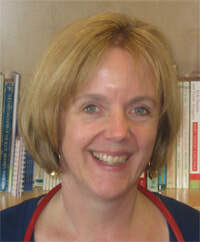 She has recently launched an online study course to teach parents how to use homeopathy for their children. She loves spending time with her family and friends and her favorite activities include yoga, hiking, gardening, cooking, and knitting. Chandini, aka Chani, was born and raised in Oregon and couldn't imagine living anywhere else. She is one of three siblings and has strong family values. She graduated from Oregon State University in 2010 with a Bachelors in Spanish. She then pursued her nursing career and obtained her LPN from Pioneer Pacific College in 2012 while working with disabled children in Speech therapy. She has always had a love for children and has dreamed of working as a nurse in pediatrics. She is proud to finally be living her dream and hopes to further her education in nursing. She plans on going back to school to obtain her Bachelors in Nursing after her wedding! In her spare time, she enjoys traveling and exploring the world, going to football games with her fiance, and going on hikes with her dog Tuxedo! Julie, one of our special team of nurses always has a friendly smile! In her spare time, Julie works with a local chorus. Zoe is a native of Oregon, and attended the University of Portland School of Nursing. She wants to focus in pediatrics with the goal of one day becoming a pediatric nurse practitioner. In her free time, Zoe enjoys spending time with family and friends. Her favorite pastime is watching and attending sporting events, especially University of Oregon football! Zoe is excited to work as a nurse here at Integrative Pediatrics and hopes to learn more about the medical field. 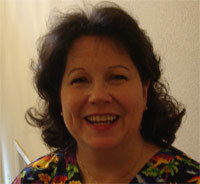 Becky, RNBecky is one of our top nurses here at Integrative Pediatrics! Jan has been working with Dr. Thomas since 1994, starting first as a Medical Assistant, and then returning to school to earn a nursing degree. Of Jan's twenty-four year working career, twenty years are in pediatrics and four were in dermatology. "Pediatrics is where I always wanted to work. I love the teaching aspect of this job. I cannot imagine myself anywhere else. I am especially grateful to work with such an amazing group of people here at Integrative Pediatrics." Jan and her husband are life-long residents of Oregon. They have four grown children and four grandchildren. They enjoy traveling, spending time with the family, and racing after her puppies on the beach. Shaudine and her husband are the busy parents of two little girls ages 3 and 5. She has a Bachelors degree in Biology with a minor in Chemistry and Health and Human performances from George Fox University. She then attended Oregon Health Sciences University and earned a Bachelors of Science in Nursing degree. Her work experience includes postpartum, labor and delivery and pediatric nursing. Her husband and children are her hobbies but in her spare time she enjoys the outdoors, exercising and shopping (of course! ).